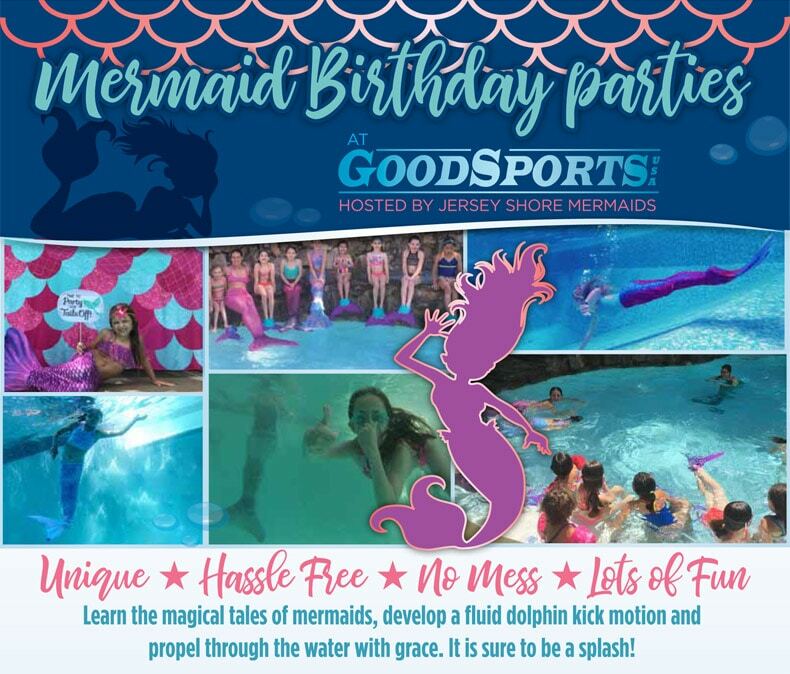 GoodSports USA is teaming up with Jersey Shore Mermaids to offer girls pool parties and mermaid classes. It’s sure to be a splash! Join us to learn the magical tales of mermaids & soon become one yourself! After you master your tail, we will play games & have competitions with your classmates.